Inspector Kirby glanced at the Journal newspaper that someone had left on his desk while he’d been in the loo. They had even, needlessly, ringed the headline in red pen, “GOSFORTH GODDESS GRABBED, Lilly ‘Medussa’ Johnson was taken into custody at her home in Regent Avenue along with thirty-seven snakes stolen from pet shops and private collections”. There was a picture of him leading Lilly towards a police car. He had his head down. Someone had drawn a speech balloon coming out of his head with the words, “Oh hell, why me?” inside. Lilly was dressed in a long white gown, blonde wig and tiara. She was smiling for the cameras. Kirby frowned, the Super wasn’t going to like that. Glancing at the clock his frown deepened. With a sigh he turned back to the screen and the accusing blink of the cursor. It was nine o’clock, he’d been in for two hours and achieved two-fifths of sod all. Sometimes he felt that writing the report was harder than solving the crime, especially with the crimes that came his way. Sergeant Vendatelli glanced at his fellow officers who were now all very intent on their own screens. Kirby knew that the younger members of the force liked to call him “Old School Kirby” or just “Old School” for short. And yes, when it was an option he did prefer to use pen and paper. Also, he called a phone a phone rather than a mobile. What’s more, his “rang” rather than play the theme from his favourite song. If it had have done, his choice would no doubt have provoked even more comments. Anyway, Louis Armstrong singing “What a Beautiful World” didn’t seem appropriate for a copper. He wasn’t a complete techno Luddite. He did admit computer age policing had its uses; only you couldn’t solve crimes by googling and tweeting. He still believed coppering was ninety percent slog, ten percent inspiration and ten percent perspiration. And yes, he did know that was one hundred and ten percent. He also knew those same youngsters considered him a bit of a loner. He didn’t meet the others down the pub after work. He didn’t do the social club and avoided, if at all possible, any activity that included the words “team building” in the title. To his way of thinking, if you couldn’t feel part of a team as a copper with half the world against you then plodging around, in January, in Kielder Forest, knee-deep in a freezing cold stream, trying to build a bridge with a few sticks and bits of rope was not going do it for you either. 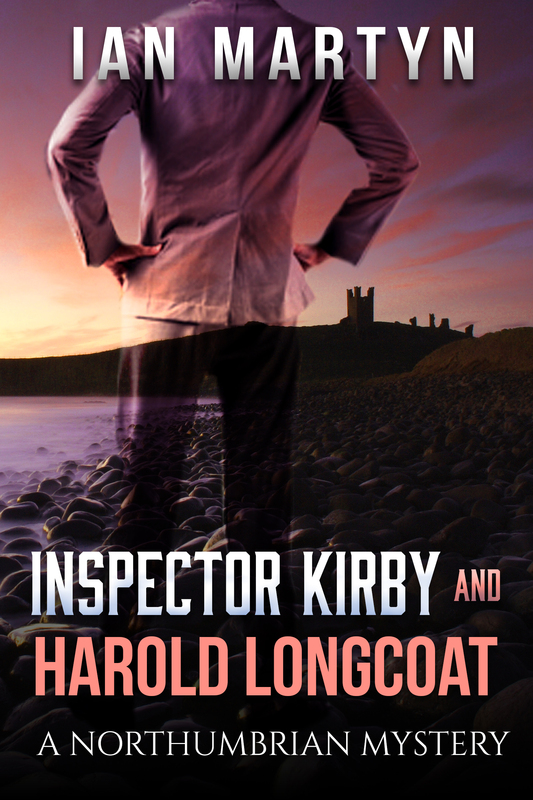 Kirby saw himself as an ordinary police inspector trying to do his job in the way he knew worked best for him. That’s not to imply he thought a police inspector’s job was in any way ordinary. By most people’s standards it was anything but ordinary. He’d seen some extraordinary things, and often things most sane people would never want to see. However, the downside of being viewed by some of both the junior and senior ranks as somewhat eccentric was that he ended up with the cases that leaned towards the stranger end of the spectrum of police work. The cases other officers avoided. Which meant, as with this case, he was presented with the problem of reporting the facts while not getting himself hauled up in front of the Super for “sensationalism”. The Super took a dim view of “sensationalism” as it tended to find its way into newspapers, and newspapers being newspapers the result was rarely complimentary. He glanced back at the Journal, even United’s latest, miserable performance was preferable to the headline. The Lilly “Medusa” Johnson case had already had its share of press coverage. Over a period of three months there had been fifteen reports of snakes being stolen from pet shops and private collections in the area. Rumours were rife that it was Animal Liberation or even some strange – foreign, of course – cult. The papers loved it. They, lacking much imagination in Kirby’s opinion, had referred to them as the Snake Men, as in: ‘Slippery Snake Men Strike Again’ or the ‘Snake Men Crimes are Addering Up’ and ‘Snake Men Bring Hissteria to the Snake Community’. It turned out, to the disappointment of the local press, the culprit wasn’t a fanatical group or exotic cult. It was one Lilly Johnson, who lived in a two-bedroom terraced house in Fawdon. They did cheer up however when they found out she liked to call herself Medusa, insisted her house was a temple and had erected two, two-storey, polystyrene Doric columns on the front of it. A fact that didn’t seem to register as strange enough to report by those who lived nearby. The headline was only the start. Inside there was a two-page spread of interviews with Lil’s neighbours and an artist’s impression of Lil appearing down the shops in full regalia, a long, white gown with a gold, snake-shaped tiara on her blonde and curled locks. As for the neighbours, if anything those of a certain age had seen her originality and level of eccentricity as something to aspire to. When interviewed, Lil’s defence was that she was above the laws of men and refused to accept the validity of anything from mere mortals. Although Kirby noted that didn’t seem to extend to the tea and chocolate Hobnobs they kept supplying her with, which she insisted on calling her ‘ambrosia’. On digging, Lilly had ‘history’, as the police liked to put it, having been responsible for a series of more than thirty burglaries in the 1980s. The papers had then dubbed her Diamond Lil on account of her only taking jewellery, most of which was found stuffed into drawers and cupboards in her then small flat off Gosforth high street. ‘It’s just something’s come up and none of the other officers can be spared at the moment.’ Kirby knew that was Desk Sergeant Caruthers speak for, ‘It’s a bit weird and I don’t think anyone else will want to take it’. The Constable raised a questioning eyebrow. ‘You omitted the colour,’ Kirby said looking down at the pair of flat pink ladies shoes. Canvas by the look of them. What in his younger days might have been called “sandshoes” or “pumps” by his dad. ‘Anything else?’ he added. The shoes had been left but not abandoned, sitting as they were neatly side by side. Kirby hunkered down to give the shoes a closer inspection. The girl was right, stitched into the canvas was an intricate pattern in varying shades of pink and purple that seemed to swirl in front of his eyes, to the point where he had to look away. ‘And you are?’ Kirby said standing up and turning to the girl. Susie was about the same age as his own daughter, Anna. She had reddish hair and was dressed in jeans and a plain white T-shirt. She had a bag slung over one shoulder. A student, he presumed, although it wasn’t term time. Then again his daughter had gone back to York early to help with a dig. Although he suspected it might also have something to do with being bored at home. He smiled at Susie and picked one of his preferred open, opening questions. ‘So tell me what you know, Susie.’ He didn’t like to guide people too much to begin with. It could be quite surprising and revealing where a story wandered and he could always drag them back if he had to. He glanced down at the shoes, which were still lined up at the edge of the pavement, as if waiting for their owner to return. Or, it occurred to him, ready to cross the road to the bus stop on the other side. Kirby was never one to dismiss someone on the grounds they felt things “didn’t feel right”. In his experience things not feeling right often led to things not being right. It didn’t feel right to him either. He stared down at the shoes as if willing them to tell him something. It looked as if Sarah had simply stepped out of them and continued her journey. Yet that wasn’t right. The shoes were both laced up good and tight. Another puzzle. Why couldn’t life be simple? People always assumed that as a detective you lived for puzzles. Well he didn’t. Solving crime should be straightforward. The burglar caught with a bag marked “swag” in his hands, “You got me bang to rights there, guv, and no mistake.” Case solved. Kirby shook his head. Why would someone unlace their shoes, remove them, lace them up again and then line them up at the side of the road? Or, for that matter, why would anyone attack someone, then carefully take off their shoes, lace them up again and place them at the side of the road? He put the last theory in his mental wastebin. Even half-braindead commuters would have noticed a young girl being attacked or forcibly abducted at the side of the road in broad daylight. Although they might not have reported it, of course. However, someone would have filmed it, put it up on Twitter or Facebook or whatever was trendy this month in social media. He poked the shoes with his pen. They didn’t get up and run off. He frowned. What now? Kirby took the phone. In the picture were two young girls who appeared to be having a good time – a “selfie”. On the left was Susie, on the right was a girl not unlike her. She was holding up a glass of what looked like white wine and smiling. ‘Bluetooth?’ Susie asked the Constable, who got his own phone out. Kirby didn’t look at the constable as he was giving the orders. He didn’t want to see the barely-hidden smile that suggested they were wasting their time. However, he’d been a detective long enough and no, it definitely didn’t feel right. Stepping back to the kerb some smartarse had put a square of crime scene tape around the shoes. The two patrol officers avoided his gaze. He was about harangue them about wasting precious police resources when something on the other side of the tape to the shoes caught his eye. It was just a stone, well not just a stone, it was smooth, more what he thought of as a pebble than a stone. Bending down he picked it up. It fitted into the palm of his hand. It looked and felt like an innocuous pebble, however to Kirby’s mind it didn’t belong there. He tossed it into the air once, then stood still and put it into his pocket. ‘Shall we?’ he said to Susie. ‘Sorry, Susie, take me through it again,’ Kirby said, pulling out onto Osbourne Road, more for the sake of avoiding the ‘police car silence’ than a belief he was going to gain any new insight. ‘She hadn’t done anything like this before?’ he asked when she’d finished. Turning into the university car park, Kirby watched with some amusement as a uniformed man in the security kiosk glanced towards them, knocked something over, then jumped up, jamming a cap on his head. You didn’t need to be a lip-reader to understand what he was saying. Kirby pressed down for his window. The shouted words, ‘you can’t come in here without a permit!’ preceded the man as he emerged from the kiosk, red faced and wiping at his trousers with a handkerchief. The man squinted at the card as if trying to come up with a reason why it didn’t count. He gave up and stomped his way back inside the kiosk. The barrier rose. Outside the library, the WPC was waiting. The door swished open and the three of them entered the reception area. ‘Sorry?’ the woman said leaning forward. Kirby glanced around and concluded that the only thing he might be disturbing was the sleep of two students at the nearest table, who had their heads down resting on their arms. ‘No,’ they said at the same time. Outside the Armfield, Kirby paused and looked up at the imposing facade and the main tower with its turrets. ‘We going in, sir?’ Barker asked. ‘Yes, sorry, Constable,’ Kirby said as they approached the doors. ‘Takes me back, that’s all.’ Walking across the stone floor of the entrance foyer, towards the rather grand main staircase, his echoing footsteps brought back more memories. Even the vague musty smell with a hint of polish and formalin was as he remembered. In the archaeology department there was no sign of Sarah, nor had anyone seen her since the previous afternoon. ‘That it then, sir?’ Barker asked when they were back outside, this time in the quadrangle at the back of the building. Walking down the “Quad”, retracing familiar steps towards the students union, memories came tumbling back into Kirby’s mind. The faces of friends he’d lost touch with long ago. His palm tingled as he relived the thrill of holding hands with Jeanie in those first few weeks together. That was the trouble with memories, they hid themselves away, and then when triggered, they would emerge to snag you in nostalgia. Things you didn’t even remember remembering would pop into your head from so long ago. They walked through one of the two arches, then over the road to stand in front of the red brick union building. Kirby stopped below the steps leading up to the main entrance. He hadn’t stood here since his student days. He remembered the first time he’d bumped into Jeanie, literally. It was June, the end of the summer term. He was walking up the steps with a group of friends when one of them pushed him. He’d stumbled into her, making her spill the half pint of lager she had in her hand. ‘Oi, watch it, you big oaf,’ had been her first romantic words to him. He’d apologised and, being a well-brought-up young man, he’d offered to buy her another drink. He smiled to himself, the fact that she had the biggest blue eyes he’d ever seen, and was wearing a low-cut T-shirt, had nothing to do with it of course. She’d followed him in. ‘In that case I’ll have a pint.’ He’d grinned at her, she had smiled back and that was it, smitten. Well at least he was. She had taken a bit more convincing. Inside, they put out an announcement over the Tannoy for Sarah or anyone who had seen her that day. Neither Sarah nor anyone else came forward. However, Kirby insisted on looking around. The men’s bar was still called the men’s bar, which surprised him in this more PC age. The decor had changed but the smell of stale beer took him back. He stared across at what had been their favourite corner, for no good reason other than he and Jeanie had always sat there. He could see her now on their first date. As he went to the bar, she was giggling with her friends while they studied him. On what had been “level six” in his day he remembered the late nights, getting drunk and what had passed for dancing. ‘That it then, sir?’ Barker asked when they were in the lobby again. With a last look around and a nod to the ghosts in his head, Kirby walked out of the front doors and back down the steps. He glanced back, half expecting a twenty-year-old Jeanie to come running after him as she had done so often, usually with something he’d left behind. He took a deep breath and returned to the present. Kirby wrote the number on the back of one of his cards. He then let the girls wander off before drifting back to his own car, the memories still rolling through his mind. That’s the trouble when you’re young, he thought, you don’t know how lucky you are sometimes. Then he thought about some of the kids he came across in the course of his job and revised that to – most don’t know how lucky they are. The thoughts of young people returned him to Sarah. So she hadn’t been where she’d said she’d be. Nothing unusual in that. A girl was allowed to change her mind, or so his wife had always told him. Without her shoes though? Then putting a hand in his pocket, his fingers closed around the pebble. A second thing that didn’t feel right and Kirby didn’t believe in coincidence. Kirby parked his car then walked back on to Grey Street with its imposing stone buildings, built by people who, it seemed to Kirby, must have been rather certain of their place in the world. To his right, was old man Grey himself keeping an eye on the city from the top of his monument. Kirby sometimes wondered how much of an honour it really was to have a statue of yourself erected so that pigeons could then crap on your head. It occurred to him that it might be a bit of a metaphor for life. A hundred yards or so in the opposite direction he came to a large brass plaque which announced that these were the offices of Bertrands Construction, Est. 1927. Through a gleaming brass-and-glass revolving door, the reception area was all polished wood with marble tiled floors and a smell of beeswax, something his mum had always been fond of using. Kirby glanced up at three large portraits of Charles Bertrand and his two sons, Edward and Joseph, all looking every bit the well-to-do entrepreneurs. On a low dark-wood table were copies of a glossy brochure titled, The History of Bertrands Construction. Very impressive, he thought. What they didn’t tell you of course was in the late Sixties Joseph had run off with the nanny to become an ageing hippy in California, and Edward had narrowly escaped jail after being linked with T Dan Smith in the early Seventies. ‘I’ll see if he’s in and able to see you,’ she said, reaching for the phone. Kirby shook it. ‘Inspector Kirby.’ Several pairs of eyes poked above waist-level, grey dividing screens. Mr Cooper glanced around. ‘Of course, this way.’ The eyes followed them. Approaching the office a young woman looked up from her desk and smiled. ‘Can we get you a coffee?’ Mr Cooper asked. Kirby decided he liked the man. The company may appear traditional and stuffy however John Cooper wasn’t. The plaque on the door read “Finance Director”. The office itself was in the corner of the building with views down Grey Street and High Bridge. ‘Very nice,’ Kirby said, looking out back up towards the theatre which stood there doing its best to look like an ancient Greek temple with its impressive columns and portico. ‘Thank you. Seat?’ Cooper said pointing to a leather sofa and chair on either side of a low table rather than the formidable-looking desk. They sat, Kirby in the chair, and the door opened. Mr Cooper sat back and then forward again. ‘Er, just a second… no, sir, not that I can see. Kirby liked WPC Shirley Barker. She was good with people. They trusted her and she knew how to ask the right questions. She also knew how to use her policing brain. Not a collection of attributes one always found in the average copper. He looked up. John Cooper was staring out of his sixth-floor window, no doubt wondering where his daughter was. Kirby wondered where she was too. He was happy that Cooper was genuine. Sarah’s mother, Marianne, on the other hand was a loose end and he didn’t like loose ends. And despite what Cooper said, what girl wouldn’t be interested in her mother? Or, for that matter, what mother wouldn’t be interested in her daughter?